Back To Marelybone #Wizard101 #W101 – Nomadic Gamers, eh! 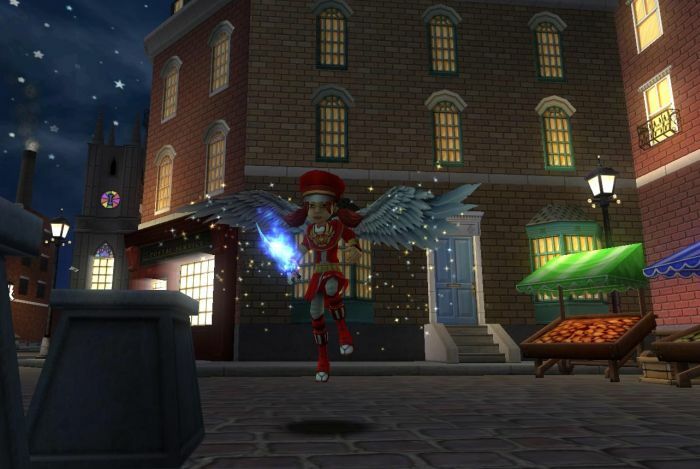 A general warning: This post is a mishmash of ideas and thoughts combined with my gaming session in Wizard101, so it sort of bounces around a lot. My apologies. This day in age, it’s hard to support all of the video games out there that you may enjoy playing. By ‘support’ I mean providing them with some sort of subscription fee or other payment that the game company can look at and go “we’re making money, yay, people love us!” because that’s what the ‘big guys’ pay attention to. We can make our blog posts and praise games as much as we want, and yes, that does all help, but to KEEP a game going I truly believe that it is funding that is noticed most of all. I love Wizard101, and I’ve played it off and on for a number of years now. When I first started playing I splurged and bought a handful of crowns (as well as a subscription) to show my ‘support’ to the game. Years have gone on and I still have a handful of crowns, I haven’t really found anything that I NEEDED to spend it on. Last night I had an itch to play, so I loaded it up (and had a lot of downloads to go through) and made my way to my wizard castle (home). It was great re-visiting my garden, which I was surprised was actually still standing. I made quick work of clearing out the bugs around my plants, watered them, my gift giving tree is even still there. Gave them some sunshine and then I was out of energy for a while, so I moved on. When I had left Wizard101 I had just started on Marleybone, after becoming a hero of Krokotopia (which I am still pretty proud of to this day). I know by most W101 standards I’m still a very young Wizard, having never been to some of the newer places like Celestia, Zafaria, or Avalon. I did get a quest that sent me to Wysteria but because I prefer to do things in order once I had completed the introductory quest I went back to Marleybone (where my quests there promptly sent me back to Krokotopia to do delivery to some troops). It felt nice to be playing again. It’s a relaxing game, and you don’t need to have children to enjoy the finer details like housing, pet battles, gardening, crafting, or even just the basic game play which is a turn based card-game type of battle that takes place. Anyhow. While I feel lucky that there are so many games out there for such a huge variety of gamers, I also feel sad because it’s impossible to support every single game I enjoy all of the time. Some times these blog posts are all us fans have to give and it’s just not always enough. That comment doesn’t directly relate to Wizard101, but more a general thought I had as I was going through some of the games I’ve played in the past. Some that are no longer around. Some make you wonder how on earth they can still be around (Vanguard, I’m looking at you). On a completely random note, I can’t wait for Pirate 101. I’m not in the beta but I have my fingers crossed, and I am really looking forward to seeing what KingsIsle does with the game. Of course I’m also pretty biased since I wrote a bunch of Wizard101 articles for Beckett Massive Online Gamer (which shut down), and FUN! Online Games (renamed). It’s amazing at how fast time flies.